Lipozene has developed our proprietary blend of Glucomannan fiber to service your demand for an active ingredient that works! This means you feel full and eat less knowing what you've put in your body is simply the best. Lipozene is clinically proven to help you lose weight and reduce body fat without changing your diet or exercise, and to help you lose four times more weight than if you took no action at all. We all need help with controlling the cravings that result in eating the wrong foods at the wrong times, and Lipozene helps us feel more full so that we eat less of what we shouldn't. Many men and women alike struggle to make diets work or to find time to exercise. As you get older, it seems unavoidable that you'll simply keep packing on pounds. You've seen Lipozene commercials for years and already know its proprietary formula is clinically proven to work. What you have yet to discover, is how much good Lipozene can do in YOUR life. The active ingredient in a Lipozene pill is Glucomannan, a natural fiber extracted from the Konjac root. Many enjoy how they can use Lipozene as an appetite suppressor, and a way to curb their hunger pangs. We know you have a lot of choices when it comes to weight loss. There are fat burner products, garcinia cambogia products, forskolin supplements and more. We hope you make Lipozene your choice for helping you reach your weight loss goals. 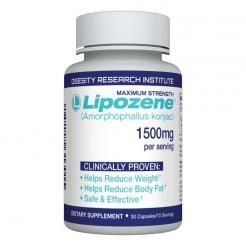 All sales are subject to ORI's Terms & Conditions of Sales which can be found at www.lipozene.com. These terms include a mandatory, binding arbitration clause and a waiver of the right to a jury trial or to participate in a class action. Amorphophallus Konjac (From Konjac Root). Other Ingredients; Gelatin, Magnesium Silicate, And Stearic Acid. 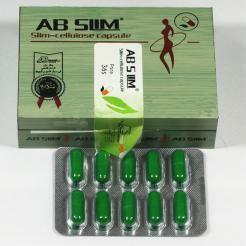 As a dietary supplement take two capsules 30 minutes before meals up to three times per day with at least 8 oz. of water. As with all dietary supplements keep out of reach of children. Do not use this product if seals are missing or broken. If you are pregnant or lactating do not use this product. Taking this product without adequate fluid may cause it to swell and block your throat or esophagus and may cause choking. Do not take this product if you have difficulty swallowing. If you experience chest pain, vomiting, or difficulty swallowing or breathing after taking this product, seek immediate medical attention. Consult your physician before beginning any weight loss program. The key to weight loss and weight management (keeping weight off) is calorie control. If you consume more calories than your body uses on a regular basis, inherently the body will store excess calories as fat to be used as energy if needed. This continued pattern can result in individuals becoming overweight (BMI 25 – 29.9) or obese (BMI 30 or higher). Calorie control is easier said than done when food tastes so good and life gets busy. That’s where Lipozene may be the help you've been looking for. 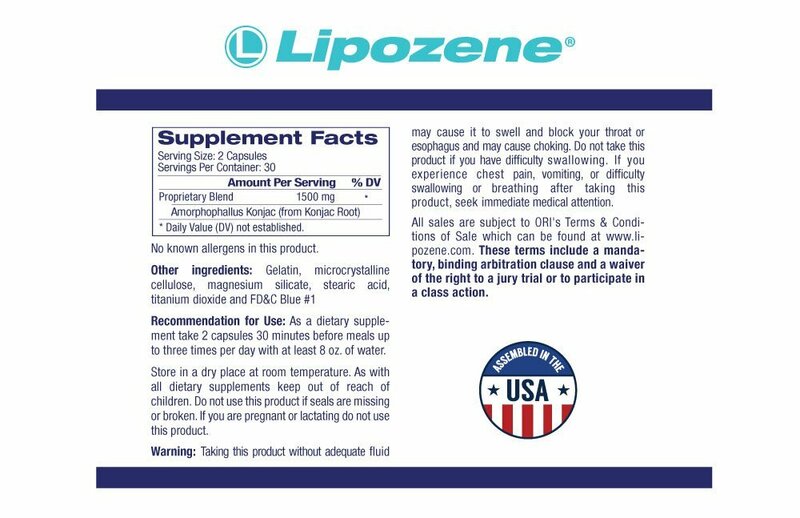 Lipozene contains a clinically proven super-fiber from the Konjac Root. Lipozene’s incredible fiber has the ability to absorb up to 200x’s its own size when in water. Once Lipozene capsules dissolve in the stomach, the Lipozene fiber blend activates in water, and creates a feeling of fullness that lasts for hours. Without the use of potentially harmful stimulants, Lipozene can safely help you control calories. In addition to weight loss and weight management, there are other benefits associated with the use of Lipozene’s super-fiber. These benefits include supporting healthy blood sugar and cholesterol and promoting regularity. 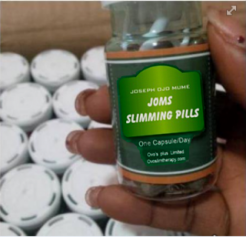 As a dietary supplement take 2 capsules 30 minutes before each meal up to three times per day with at least 8oz. of water. Based on clinical studies, recommended dosaage for optimum results is daily maximum dosage of 6 capsules per day. Store in a dry place at room temperature. As with all dietary supplements keep out of reach of children. Do not use this product if seals are missing or broken. If you are pregnant or lactating do not use this product. What is the Active Ingredient in Lipozene? 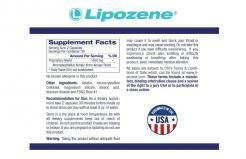 Lipozene is made from Glucomannan, which is extracted from the Konjac Root. This water-soluble fiber has been used as a weight loss aid in Japan for generations. This active ingredient in Lipozene is one of the most studied ingredients fro weight loss. It is believed that this water-soluble fiber expands and acts as a dietary fiber gel in your stomach that will give you a feeling of fullness, so you eat less and as result, reach your weight loss goals quicker. In fact, there are even studies that connect it’s active ingredient Glucomannan, with alleviating constipation, helping to maintain healthy cholesterol and supporting healthy blood sugar levels. Lipozene does not contain any stimulants. It is Non-GMO, gluten and caffeine free. There are no known side effects when used as directed. - 30 MILLION BOTTLES SOLD - This isn't from a random internet brand. 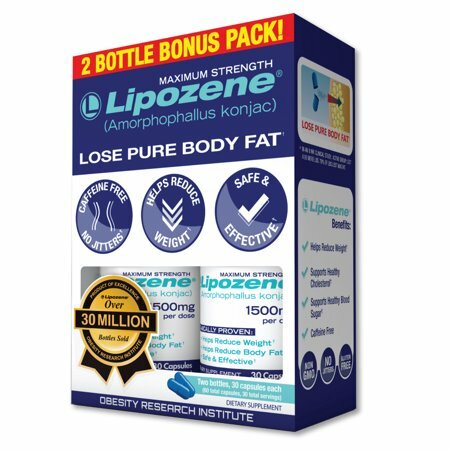 Lipozene has sold over 30 million bottles and can be found in many retail chains such as Walmart, Walgreens, CVS and more. Find out personally why Lipozene has been the number one selling diet supplement four years in a row! * Don't trust your weight loss to a no name brand. I was initially sceptical after reading the reviews , but thought it’s not a huge investment, it’s worth a shot. I’m glad I took the chance. I’ve lost the 20 lbs I needed to lose. I’ve experimented with a lot of diet supplements — even Rx drugs like Phen-Fen. Nothing has worked as effectively as that until now. Lipozene is solely an appetite suppressant, meaning there’s no boost in your metabolism.